Children’s Clothing | What Would Hazel Do? With the way the weather has been and the awful fires continuing to burn across New South Wales, you could be forgiven for thinking that summer had arrived a couple of months early. But this weekend was just beautiful spring weather here in Canberra. I love days just like the one we had today.We went out to Spotlight this morning and got a few pieces that I needed. We cooked a lovely lunch and saw a good movie this evening; About Time. 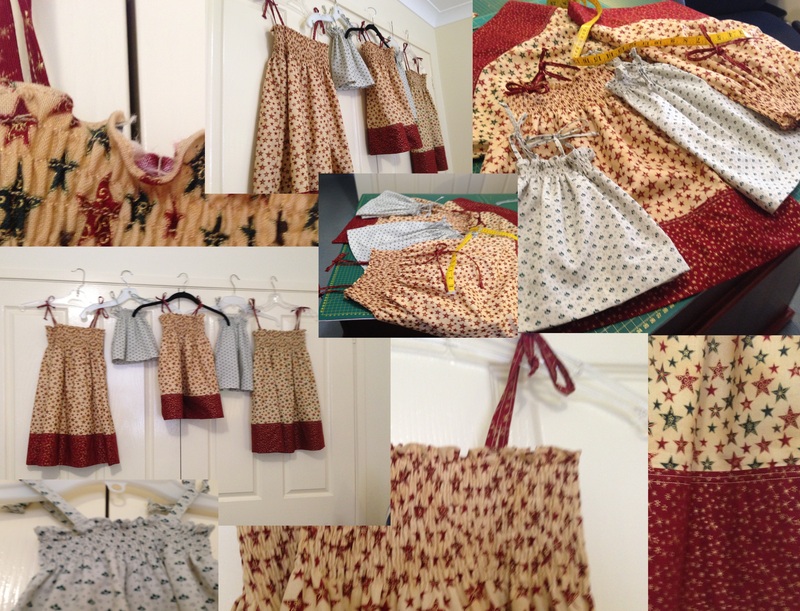 And I still managed to get some sewing in yesterday! 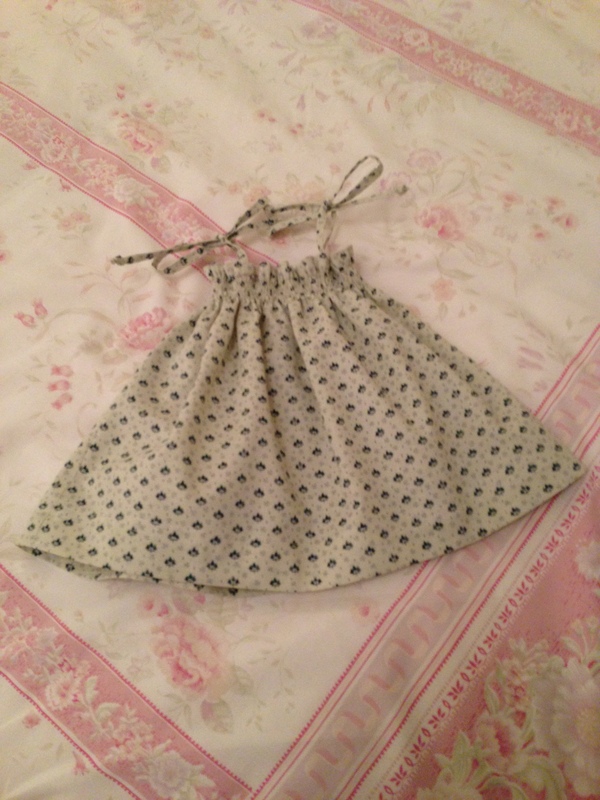 I made a lovely little romper for one of the g-daughters. 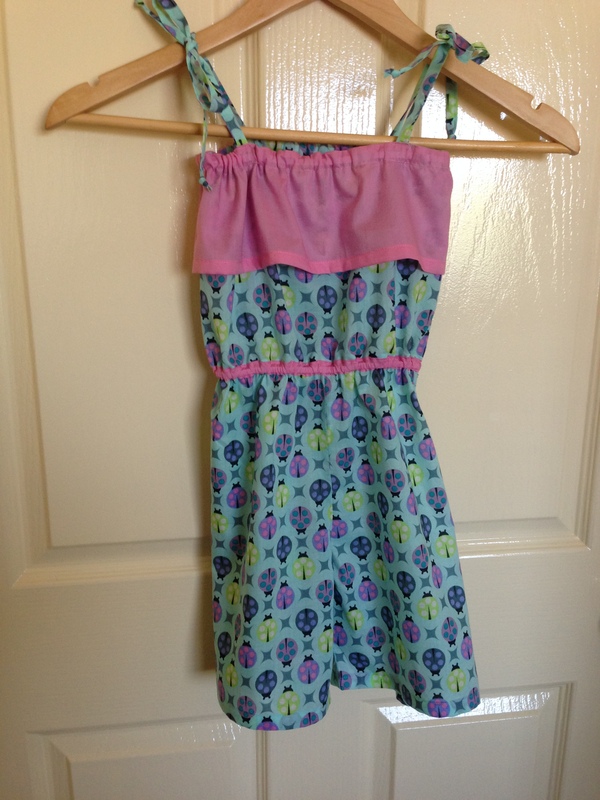 It’s all but finished – just need to try it on her to adjust the elastic. I made it with some lovely voile I got in my last batch from Kelani Fabrics, it’s very pretty with turtles on it; The Birds & the Bees Ladybug Sky voile. I also got to test out my new bias binding maker, very cool. Anyone need some pink bias binding! Got plenty! The pattern is Starling Girls Romper from www.mychildrenstreasures.com and it made up very nicely. I’ll make it again for the other little girls. The perfect project to knock over in an afternoon and perfect for the beginner. So with the Eva dress from last weekend that’s one 4 year old’s birthday taken care of. Pretty happy with yet another productive week and some great results. The Eva Dress is a PDF pattern for a reversible dress that I bought from Angel Lea Designs – www.angelleadesigns.com. My first experience with a PDF pattern; I’m a bit old-school and tend to use the store bought tissue patterns. I found the instructions excellent with great photos to follow. It’s for size range 6 months to 6 years and I made the size 5. 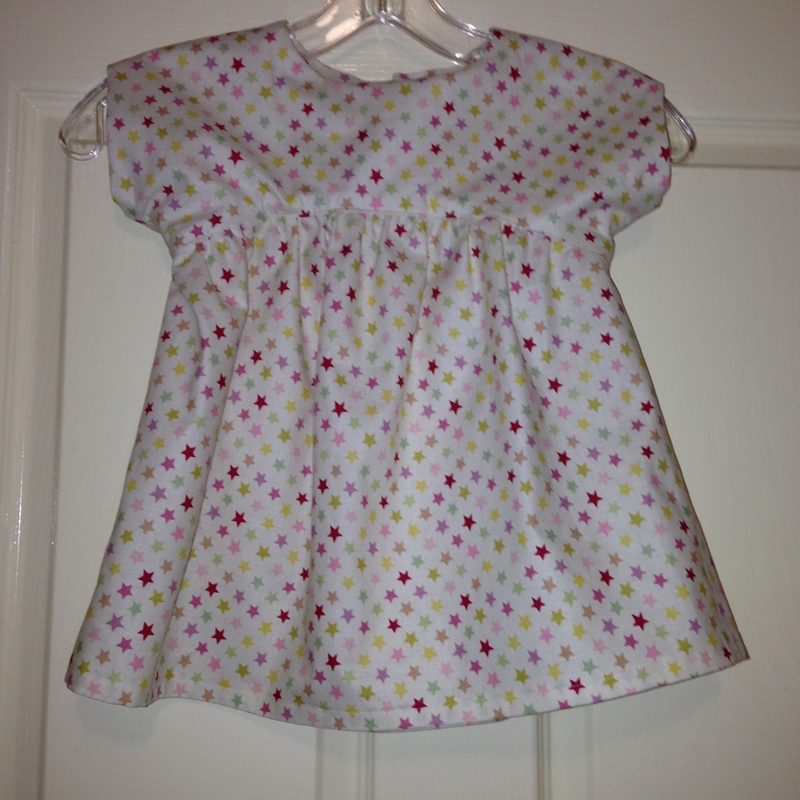 I followed the pattern exactly except for the shirring on the pockets; I gave it a 3rd row for extra strength. A really nice pattern that I will use again. By following exactly and pressing religiously it all came together very well. The fabric I bought from Kelani Fabrics – www.kelanifabric.com.au – the first side in Alexander Henry’s Lupe Multi and the second side in Alexander Henry’s Vivienne Stripe Blush. Both cotton, the fabrics handled really well and pressed up nicely. Unfortunately the photos don’t do it justice; the pockets are really cute but hard to see in the photo but I am just thrilled with the results. I just need to tie the shoulder straps a little better!